and I've not had a chance to read as many books as I had hoped to. I did, however, have a pretty amazing book haul!! and I'm super excited to start the ones I haven't!! How many books did you read in September?? 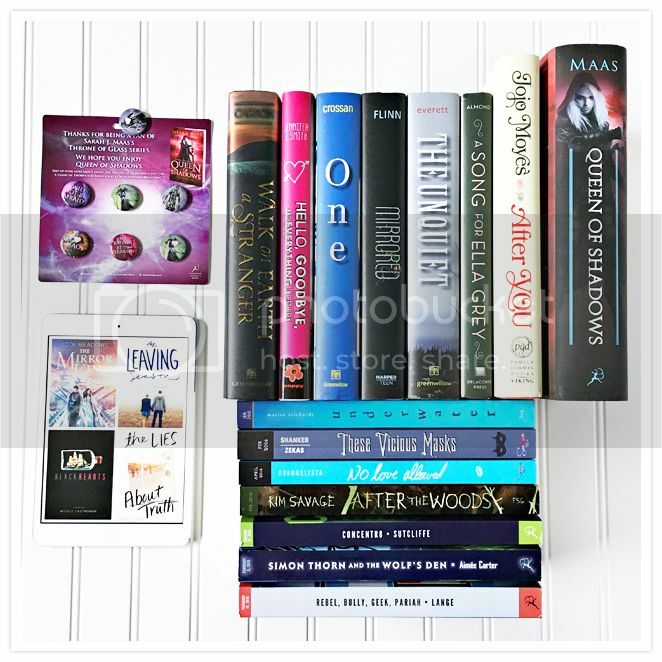 Any awesome books added to your collection?? Leave a comment and tell me about it!! 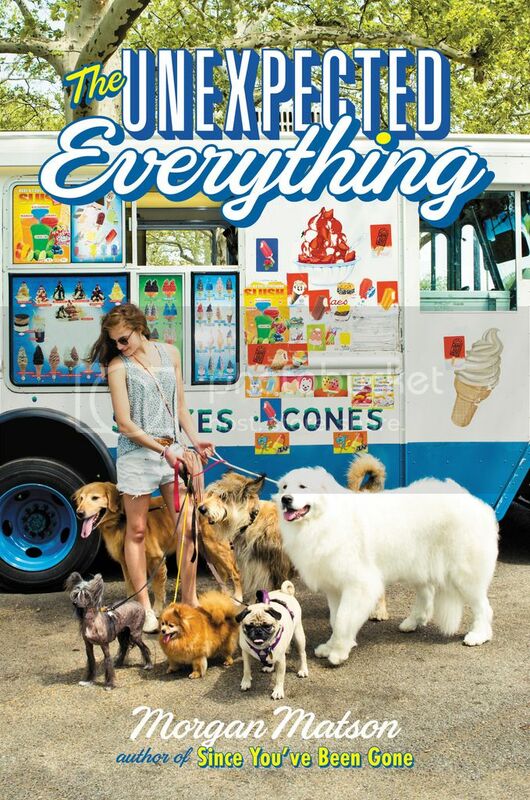 It's a new Morgan Matson book!! This makes me SOOOO happy. and an even bigger fan of Sarah Dessen!! Here are a few authors you should check out if you like Sarah Dessen novels as well!! 1. 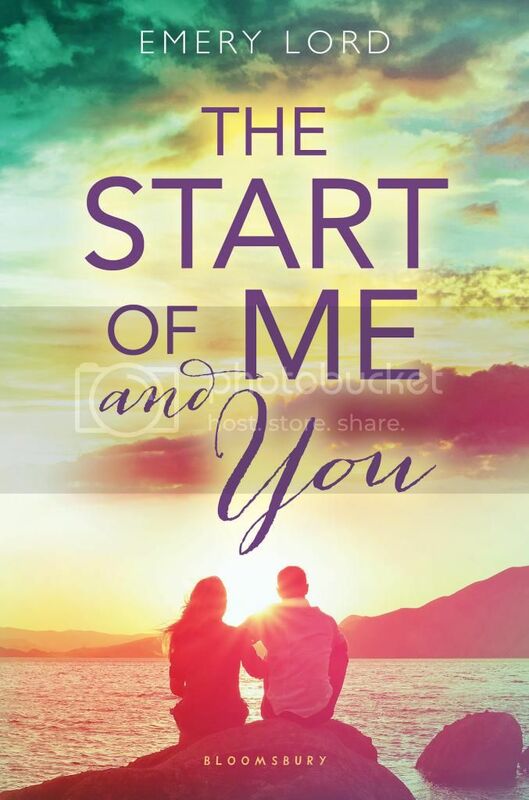 The Start of Me and You by Emery Lord - Emery has two books out at the moment, and they are both SO good. 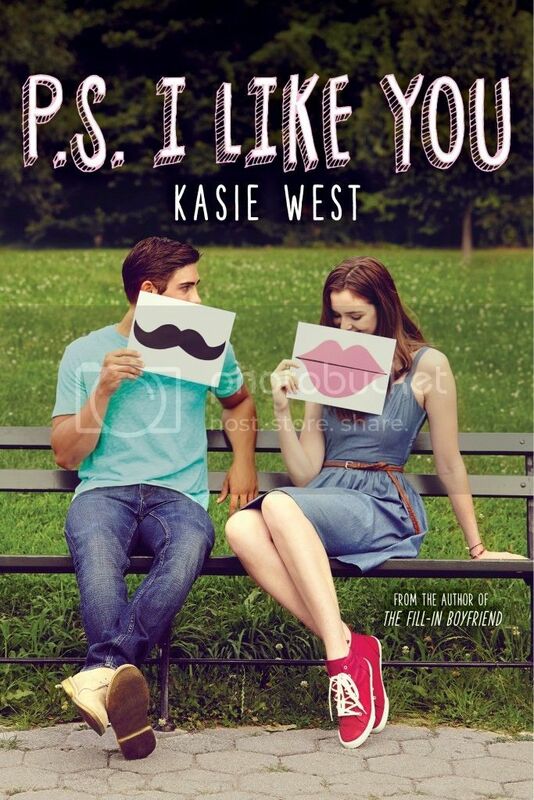 They are the perfect contemporaries to read any time, and they will totally make you want to read more from her! 2. 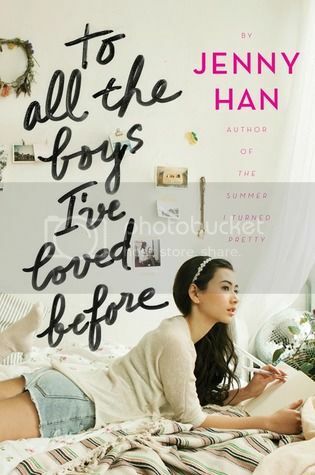 To All The Boys I've Loved Before by Jenny Han - I have just recently become a Jenny Han addict. I think I read all of her books just this year, and really, really enjoyed them all! 3. 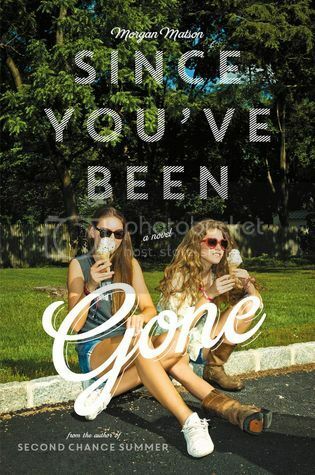 Since You've Been Gone by Morgan Matson - I've only read one Morgan Matson book so far, but I ADORED it! I have all of her other books on my shelf, just waiting for me to read, and I absolutely can't wait to start on them! 4. 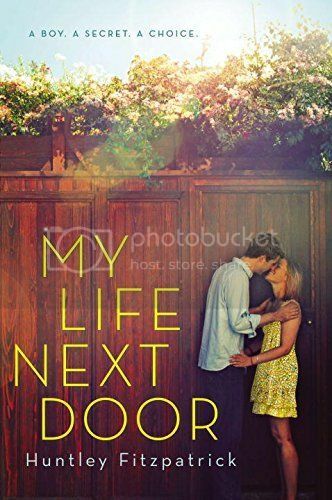 My Life Next Door by Huntley Fitzpatrick - I just recently read all three of Huntley Fitzpatrick's books, and I really enjoyed them all. My Life Next Door read just like a Dessen novel! I loved it! 5. 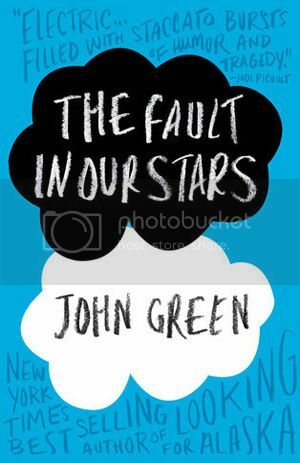 The Fault in our Stars by John Green - Ok, I'm sure everyone has already read this book, but it's not just this one in particular. All of the books I've read by Green have really interesting characters and storylines. They're great! 6. 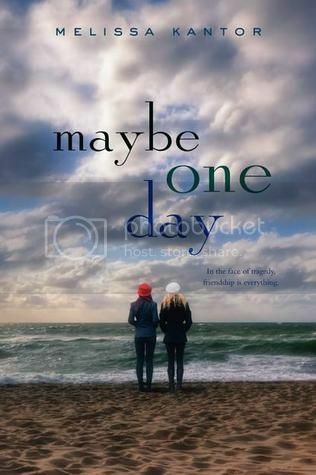 Maybe One Day by Melissa Kantor - This is yet another contemporary that I really loved. I got SO into the story, and it really gave me all the feels. I Loved It! 7. 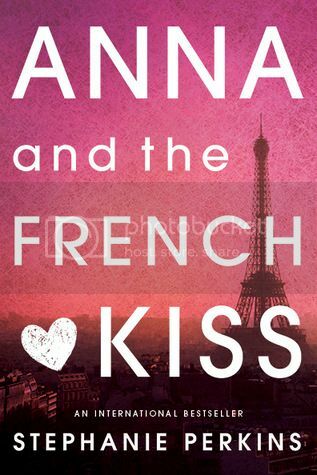 Anna and the French Kiss by Stephanie Perkins - Anna and the French Kiss is one of the first contemporary books that I read when I started reading YA. It really, really made me love the genre! 8. 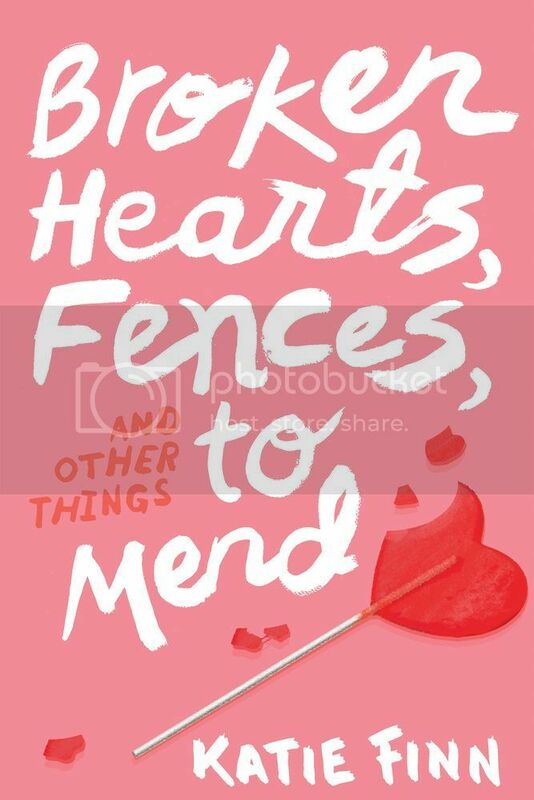 Broken Hearts, Fences, and Other Things To Mend by Katie Finn - Katie Finn, aka Morgan Matson, does a really great job of writing dramatic contemporaries that will keep you wanting more! I adore the Broken Hearts series! 9. 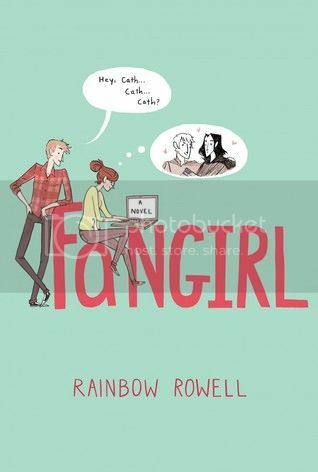 Fangirl by Rainbow Rowell - I love Rainbow Rowell's writing SO much! She totally makes you fall in love with her characters and awesome storylines. I've read almost all of her books, and I really need to finish the ones I haven't had a chance to read yet! 10. On the Fence by Kasie West - I've read a few of West's books so far, and they remind me SO much of Sarah Dessen's books! She makes really great characters, and love interests as well! There you have it, Bookworms!! 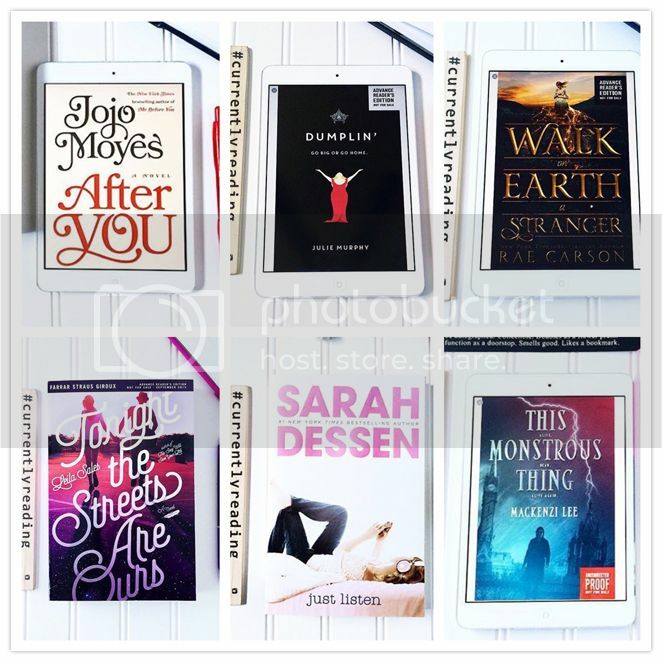 Ten authors you should check out if you like Sarah Dessen! but if by chance you haven't read them, please do check them out!! 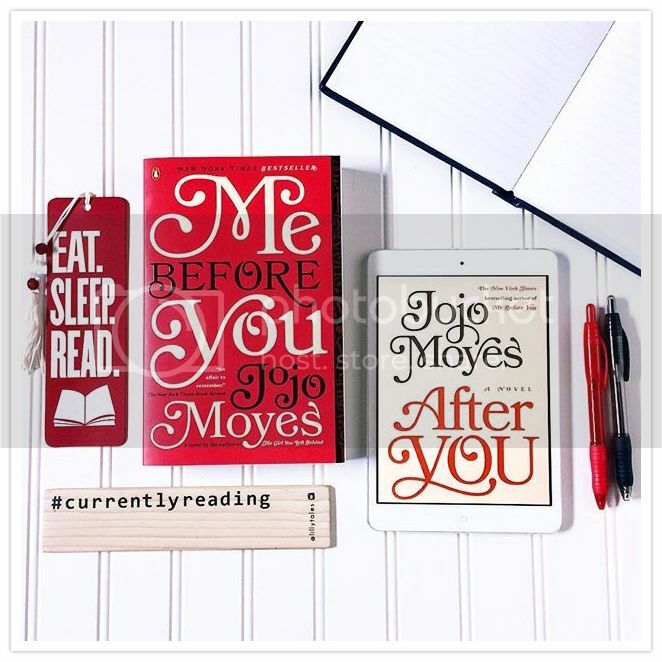 As soon as I discovered there would be a sequel to Me Before You, I knew I had to read the book, and After You quickly became one of my most anticipated reads for 2015. I was super curious to see what happens for Lou after the events in the end of Me Before You. I went into the book almost blind, having completely avoided most of the summaries for the book. I didn't know what to expect, and honestly, I didn't know if I was going to enjoy the book considering that it would be missing one of the things I loved so very much in the first book. In the end, I did enjoy the book, albeit in a different way than the first book, but I did still found it to be a very enjoyable read. I started reading this book just moments after rereading Me Before You, which I was already a complete emotional mess over. Because of this, the first few chapters were hard for me to read, and I found myself in tears pretty quickly. I couldn't help but relate and sympathize with Lou for her grief, which was so much stronger than I expected it to be. I can't say that I wouldn't have handled things the same way she did. But Lou is such a really great character, one that I've loved since I first met her in Me Before You, and in the story we watch her learn to live with that grief, and to also find herself again. Almost all of the characters that I fell in love with in the first book are back in this sequel. I absolutely adored Lou's family in the first book, and they are even more wonderful this time around. I loved being able to check in with them, and also with the Traynor's, to see what they were up to and how they had learned to cope. While there are some parts in the book that were super hard to read, ones that had my heart breaking in two, there are also some moments that are going to have you rolling on the floor laughing as well. That's another thing that I loved about the book, it really had me feeling all the different emotions as I turned the pages, and I love when a book does that! 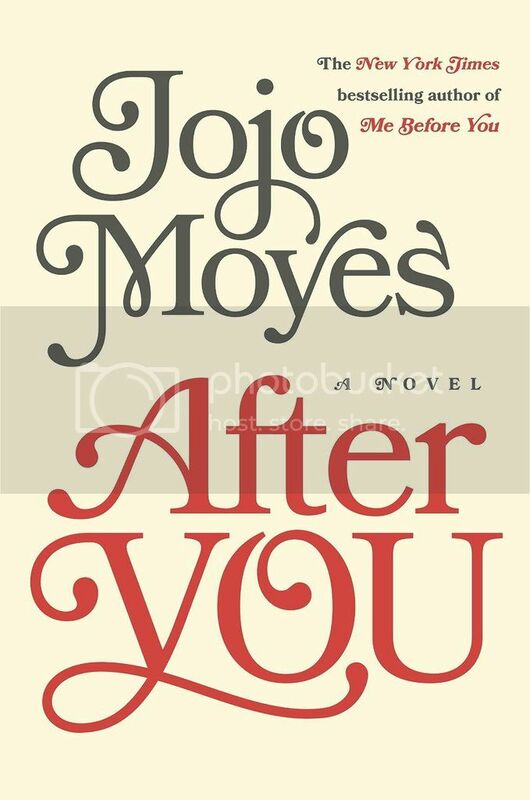 Overall; I really enjoyed the book, but in a completely different way than I enjoyed After You. There was obviously something missing from the second book that I loved so very much in the first book, and it was hard not having that there. But despite that, I really enjoyed the book. I'm super excited to read more by Moyes as soon as possible, and I have the audio book of One Plus One, just waiting for me to start it. Second, the story sounds super awesome. and I can't wait to dive into it!! To be honest, Walk on Earth a Stranger was not at all what I expected. I went into the book expecting a story about a girl who had the ability to find gold, and proceeded to do so. That's totally not the story I got with this book at all. This is a story about a girl who loses everything she has, who ventures across the country with a talent for finding gold, and a hope for a new life. Lee (Leah) Westfall was an amazing character; she is one of those characters who is an amazingly strong heroine who proves time and time again that she is completely able to take care of herself, which she's totally not supposed to do since it's 1849 and she's a young lady. I love this about her so much. When everything was falling apart around her, when she could have given up and given in, she didn't. She hung in and did exactly what she had to do to survive, and I appreciate that about her so very much. I think she's definitely earned a spot on my Most Loved Heroine list! Not only was Lee a wonderfully written character, there are SO many secondary characters throughout the story that you will fall in love with. Some you won't exactly like at first, but by the end of the story, you will love them. I'm not going to name any names, because I want you to figure it out for yourself, but you seriously can't help but love them all! Well, there are a few that you're going to really dislike, but you'll know them when you meet them as well. I can really tell that Carson did her homework while writing this novel. She included SO many details throughout the story, all of which I could visualize perfectly as happening during the time period. The journey from Georgia to California, which now would only take days to complete, took months and months back then, only being able to go 5-15 miles a day, and then dealing with the treacherous terrain and unpredictable weather, illnesses, and food and supply shortages. I can't even begin to imagine taking this journey, but I enjoyed 'riding along' with Lee as she went on hers. The storyline for the book captivating and completely unique, I loved it, and I can't wait to get my hands on the rest of the books in the series. I really wish there were more books written in this time period as well. I was more than a little thrilled when the city that I live in appeared in the story. It's really so hard to imagine the city as it was back then, especially when so few people lived in the area. I really just can't imagine, especially considering all the growth and overpopulation that we have now. I would have loved to have seen the city back then, as I imagine it was a beautiful sight. 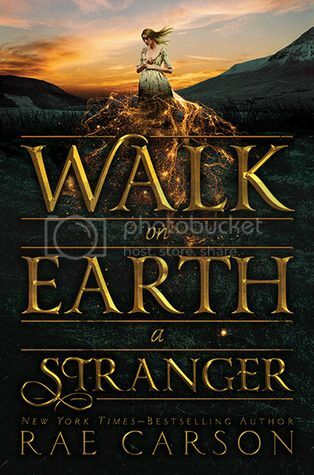 Overall; I really, really enjoyed Walk on Earth A Stranger. I can't wait for my finished copy to arrive, and for the next two books in the series to be released! I would love to know what is going to happen next for Lee and her crew. Check this book out, I know you'll enjoy it! 1. 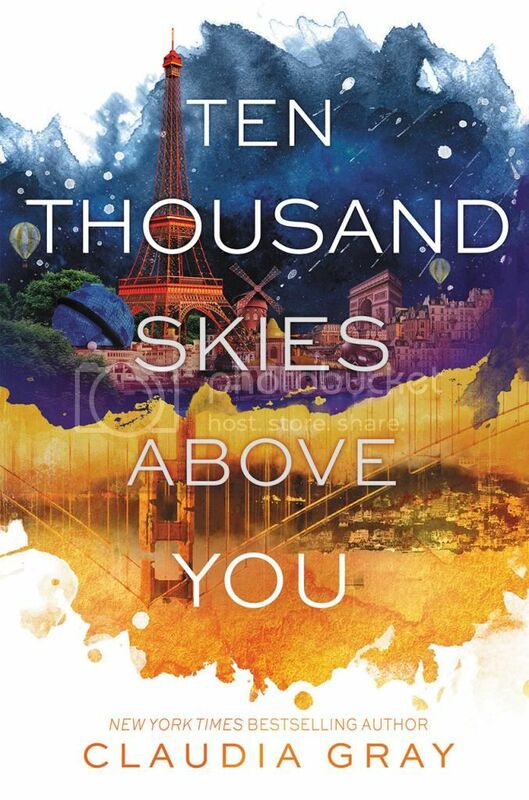 Ten Thousand Skies Above You by Claudia Gray - I've been waiting for this sequel to A Thousand Pieces of You for what seems like FOREVER, and it's almost out!! I managed to snag an e-arc of it recently, and I'm booking it through my current reads so that I can get to it ASAP. It's going to be great!! 2. 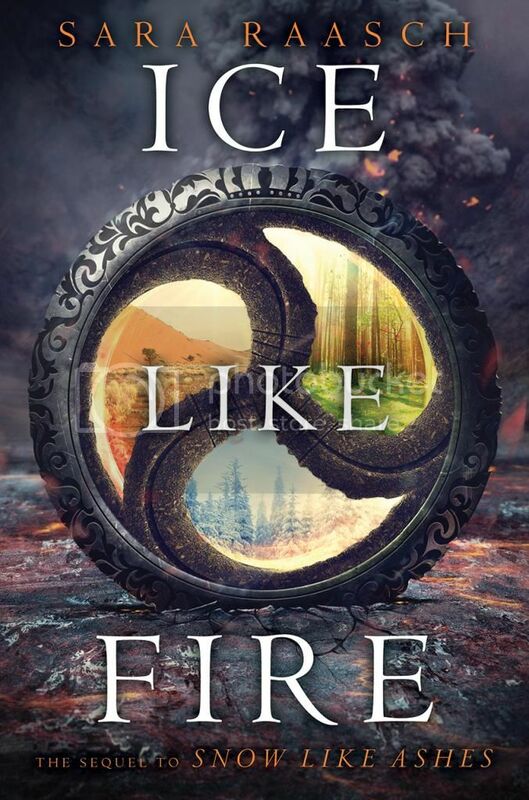 Ice Like Fire by Sara Raasch - I read Snow Like Ashes last year, and was completely blown away by the unique storyline. I really can't wait to get back into the world that Raasch created as soon as possible! 3. 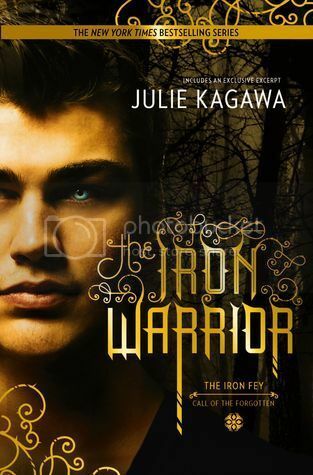 The Iron Warrior by Julie Kagawa - The Iron Warrior!! 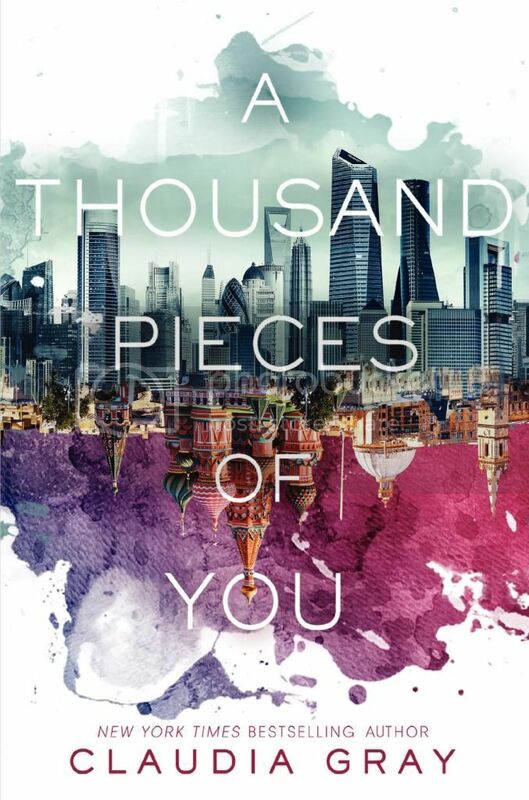 I've been waiting on this book for SOOOO long, and it will soon be in my hands. I'm so super curious to see what's next for Ethan Chase, especially after the events of The Iron Traitor!! 4. 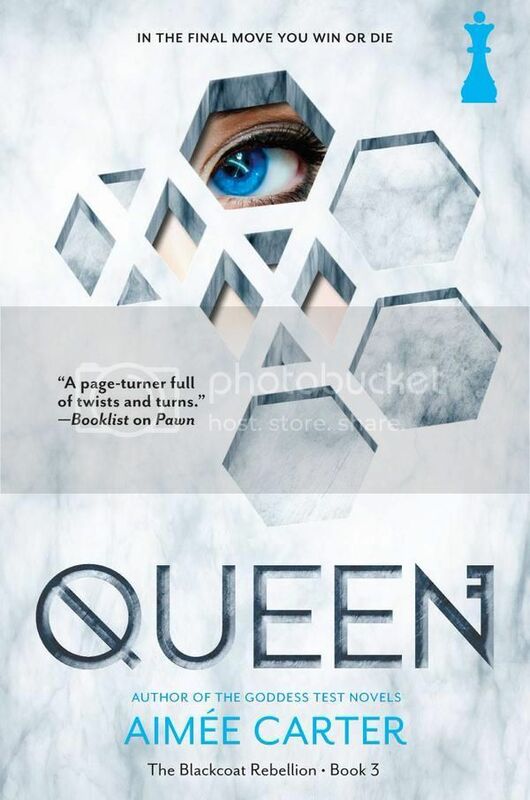 Queen by Aimee Carter - Here is another book from Harlequin Teen that I'm super excited to read this fall. 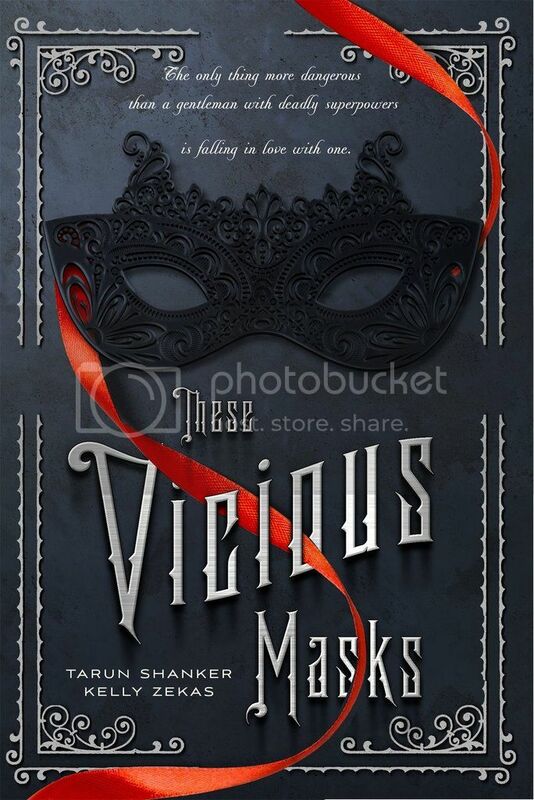 I'm dying to know what is going to happen in this third and final book in the Blackcoat Rebellion series!! 5. 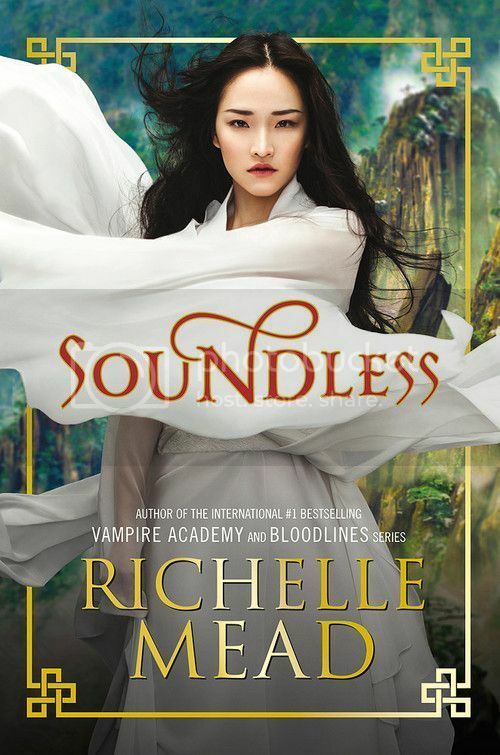 Soundless by Richelle Mead -A new book by Richelle Mead? Count me in!! I've read all the books in Mead's Vampire Academy series, although I still need to finish the Bloodlines series. I'm super excited to read something new from her! 6. 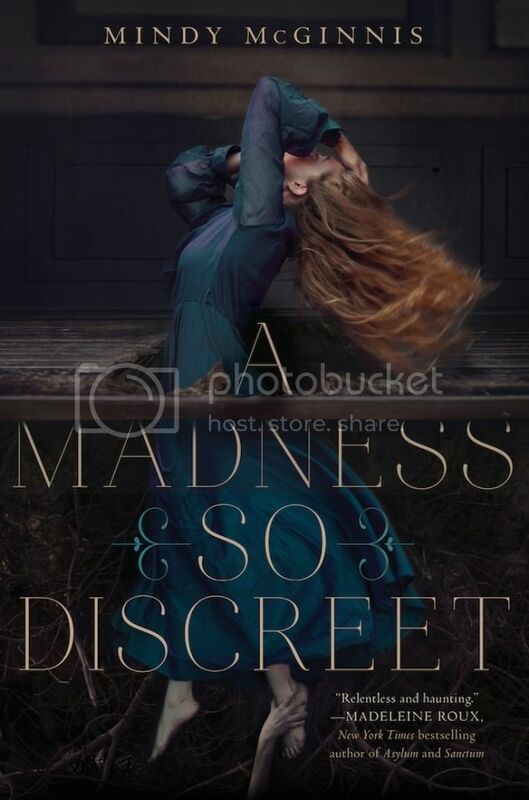 A Madness So Discreet by Mindy McGinnis - I'll admit, the first thing that drew me to this book is that STUNNING cover! OMG, it's beyond gorgeous. I've had a few of McGinnis' other books on my TBR for quite a while now, and I'm super excited to finally read one of her books! 7. 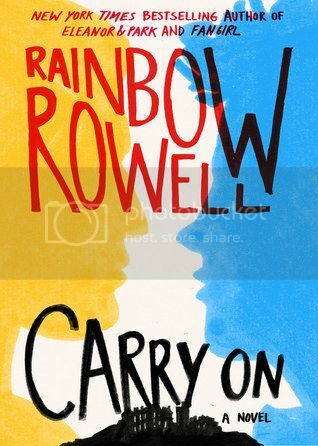 Carry On by Rainbow Rowell - Yay, and new Rainbow Rowell book! Can I even begin to tell you how excited I am for this book??? It's going to be SO GREAT!! And it really makes me want to re-read Fangirl soon! 8. 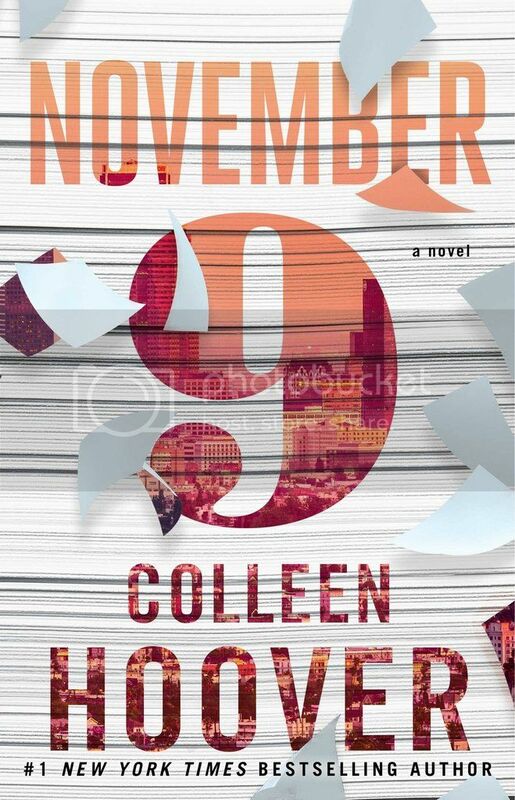 November 9 by Colleen Hoover -I've read a few of Colleen Hoovers books, but the ones I have read, I've really enjoyed. I'm really looking forward to adding this one to my reading list, and maybe I can finish the rest of her books that I haven't read at the same time! 9. 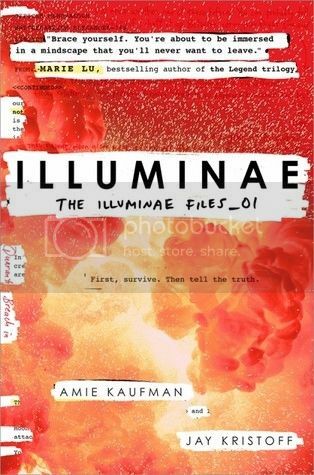 Illuminae by Amie Kaufman & Jay Kristoff - I'll be participating in a blog tour for Illuminae in a few weeks, and I'm super excited to both participate in the tour AND read the book! The Starbound series that Amie Kaufman wrote with Meagan Spooner was Awesome, and I'm excited to see what she's come up with next! 10. 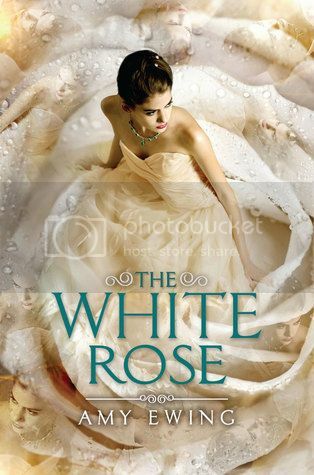 The White Rose by Amy Ewing - After the massive cliffhanger ending in The Jewel, I've been dying to get back in this story. I'm super excited to see what's going to happen next for Violet and Ash!! but these are just a few I'm the most excited about. and I want to read them ALL!!! Today I am participating in the Blog Tour for *First & Then* by Emma Mills!! I read this book a few weeks ago, and really enjoyed the story, especially as it was described as Pride and Prejudice meets Friday Night Lights!! I love anything Jane Austen, and football is my second most favorite sport, so I knew I would absolutely love this book. AND I DID!! Keep reading below for more info on the book, and to check out Emma's *Favorite Jane Austen Movie Adaptations* and my list of books *Most Likely to be Turned Into A Movie*!! And don't forget to check out the other stops on this tour, find the full list HERE!! I would hail this as the most accurate Pride and Prejudice screen adaptation. It’s pretty much a literal cinematic translation of the book! And of course, Colin Firth is iconic as Mr. Darcy. THE LAKE. THAT SHIRT. THE TENSION. I have such a fondness for this film; it was the first Pride and Prejudice adaptation I had seen. Although it trims the story a bit, I think this version absolutely captures the humanity of the characters, and the passion. It’s such a romantic interpretation of the Lizzy/Darcy relationship—and features my favorite on-screen Bingley and Jane as well. Emma Thompson and Ang Lee absolutely nailed it with this adaptation; the society of Austen’s time is re-created so impeccably, without losing any of the humor, sadness and loveliness of the story. Although it’s a pretty loose adaptation, it’s hands down my favorite on-screen version of Emma. Gwyneth Paltrow is lovely in the 1996 Emma, but my heart belongs to this 90s Beverly Hills high school Emma AU. I have to admit, I love all of these movie adaptations as well!! For my superlative, I've listed the Top Five books I'd Love to see turned into a movie!!! This is one of my most favorite books ever. There is seriously SO MUCH that I love about this book. I'd love nothing more than to see it made into a movie. It would seriously have ALL the feels. I don't know who I would want cast as the main characters, but they'd have to be really awesome to play the part. This would seriously make the sweetest movie ever!! This book is another of my most favorite books! I love the characters and the setting and the storyline... EVERYTHING about this book would make such an awesome movie. 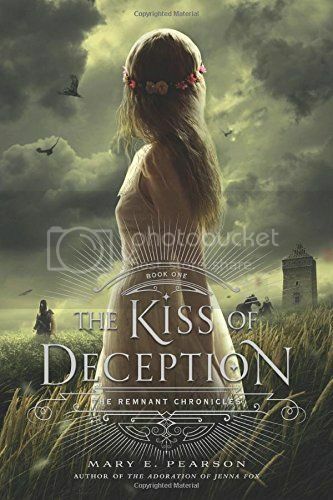 While reading the book I always pictured the main characters as those from the TV show Reign. They would all be perfect in a movie for The Kiss of Deception!! 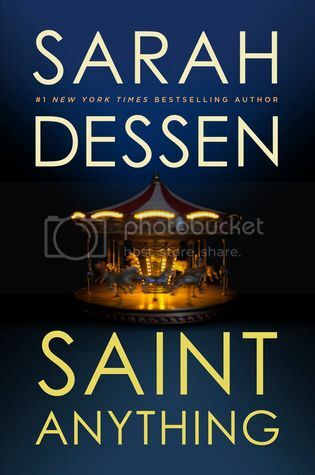 I've listed this book because it's her newest release and I really loved it, but honestly, I'd love to see ALL Sarah Dessen's books as movies!! I haven't read all of her books yet, but I'm working my way through them this summer and I've loved every single one I've read. The movies would be SO AWESOME!! I really loved the time travel storyline in this novel. I haven't read many time-travel novels, but I really loved this one, and I think it would make the best movie!! (Or even TV show, just to make it last longer.) Seriously, can you imagine it as a movie?? It would be GREAT!! It was super hard to choose a favorite book in this serious by Stephanie Perkins, but I really loved Anna and the French Kiss so much. I think they would all make really great movies. If someone could get working on this, that would be just great!! So many great characters. I love them all!! Would these make great movies, or what?? 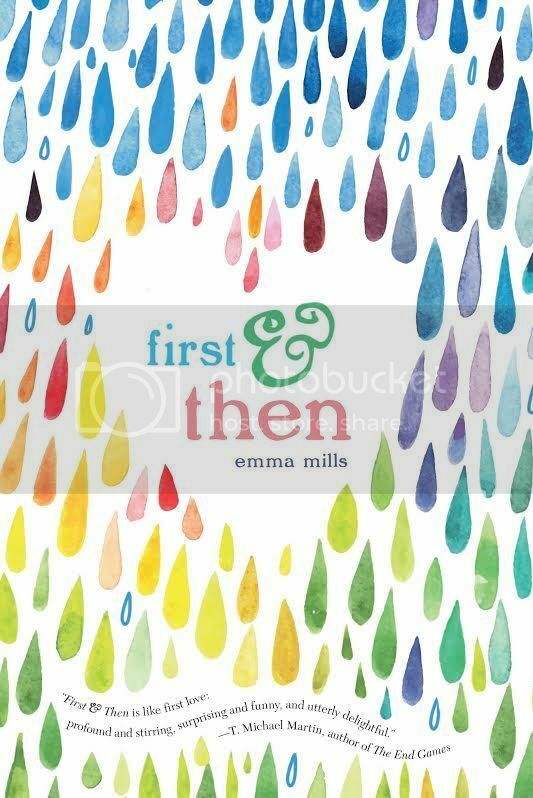 Win a copy of First & Then by Emma Mills!! Ohhhhhhhhh! Does this summary sound great, or what?? and this book sounds like it's going to be an awesome read. I can't wait to check it out. I love Kasie's writing! !